How to Test Website Speed ? How to Check Website Speed Using Google ? Login with your Gmail id and password. Enter URL of your website in "Enter a Web URL box" then click on "Analyze". It will show you details of "Should Fix", "Consider Fixing", "Passed Rules", "User Experience" for Mobile and Desktop users. 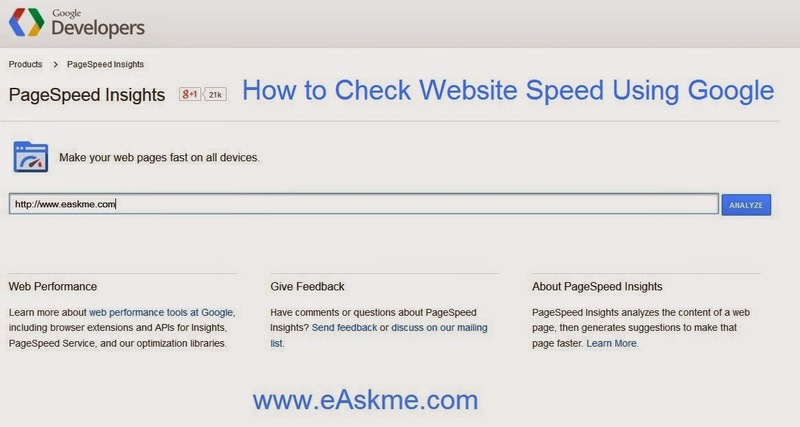 You can fix these and increase speed of your website or blog. 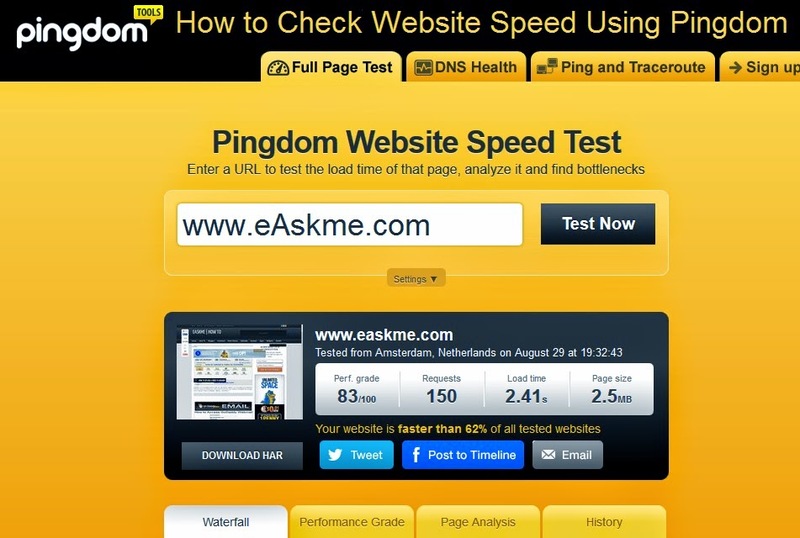 How to Check Website Speed Using Pingdom ? Enter URL of your Website or blog in the box. It will analyze your website . Result will show you Pref, requests to server, Load time, Page Size. It Also show you that your website is faster than or slower than how much % of websites on Internet.